Union Bectu is asking its Siemens workers at the BBC if they want to go on strike following redundancies and a pay freeze. Siemens staff working at the BBC are being balloted over potential strike action. Union Bectu is asking its members if they want to go on strike following redundancies and a pay freeze. 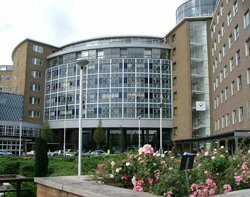 Siemens has provided technology to the BBC since the sale of BBC Technology in 2005. More than 70 staff recently lost their jobs as part of a redundancy programme. The union is advising members to vote for industrial action in the ballot, which is open until 19 March. Bectu national official Suresh Chawla said, "This pay freeze comes as a real double whammy for our members. With the level of redundancies that we have already endured, and continue to face, it is not even as if a pay freeze is safeguarding jobs. "Whilst colleagues within the BBC and in other service partner companies are receiving modest pay increases, and with inflation now hitting 3.7%, Siemens' position is untenable. We have no option but to ballot our members for industrial action. We hope to be able to resume talks with the employer once they are able to make an offer." Siemens plans to send another 50 jobs in server operations to Romania. It is the latest service provider to run into industrial relations trouble, following disputes at Fujitsu and HP.